The Oklahoma Association of Electrical Cooperatives Information Technology Association, OAEC IT is an association of Information Technology professionals for electrical coops in Oklahoma. One purpose of OAEC is to improve the service quality of member systems by acting as a clearinghouse where leaders can exchange ideas and experiences on common problems or opportunities. The members of the IT association collectively use their years of experience to better serve the people of their cooperatives. Section I. This organization shall be known as the Oklahoma Association of Electric Cooperatives Information Technology Association. Hereinafter referred to as OAEC I.T. Association. Section 1. The OAEC I.T. Association, a non-profit organization, is formed for the following objectives and purposes: To unite in a central organization all qualified OAEC IT Association members, and other interested electrical information technology personnel, in the State of Oklahoma. Section 2. To provide an open platform for IT education, as well as, knowledge exchange of participants to improve both personal and OAEC IT Association members level of understanding, use of information technology, and to secure and distribute information to its members. Section 3. To promote and conduct one regular meeting in each calendar year for the members of the Association. SECTION I. 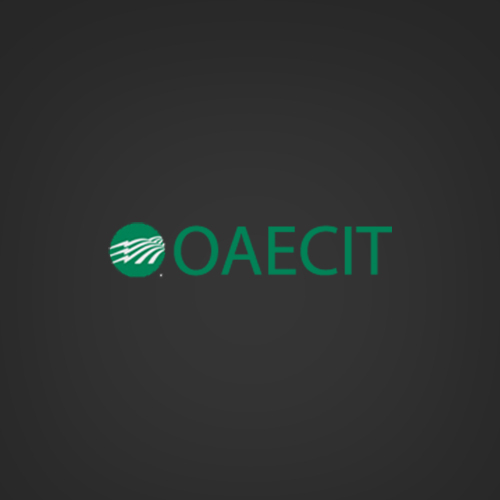 The OAEC I.T. Association shall be composed of Oklahoma Electric Information Technology personnel, and such other personnel as the member system may designate. SECTION II. Membership. Each cooperative shall pay only one membership. Membership may be obtained by making proper payment of annual dues. SECTION I. The OAEC I.T. Association shall have full control and management of all affairs of the organization. SECTION II. Each member cooperative present in person shall be entitled to one (1) vote and no more upon each matter submitted to a vote at a meeting of the members. Voting delegates shall be designated by the member systems. The action of a majority of all the members in attendance of the annual meeting shall be the act of the Association. SECTION I. The officers of the Association shall consist of a president, vice-president, secretary, treasurer, assistant treasurer, and recorder/historian. SECTION II. The officers of the Association shall be elected at the annual meeting of the Association and shall hold their respective offices for the term of two years. The Secretary and Vice-President are automatic nomination advancement with floor nomination. Vacancies occurring in offices shall be filled by the president and such person or persons appointed shall hold office until the next election at the annual meeting. SECTION III. President. The President shall be the principal executive officer of the Association and shall preside at all meetings of the members. The President shall perform all duties incident to the office of president and such other duties as may from time to time be required. SECTION IV. Vice-President. The Vice-President, in the absence of the President, shall perform the duties of that office and shall discharge such other duties as may from time to time be required. SECTION V. Secretary. The Secretary shall keep a true record of all the proceedings of the meeting of the Association and a membership record. The Secretary shall have charge of and conduct the correspondence of the Association and shall notify the members of any and all meetings of the Association. The Secretary shall perform such other duties as may from time to time be required. SECTION VI. Treasurer. The Treasurer shall maintain records of all monies paid or donated to the Association and shall review all disbursements made by the Association. The Treasurer shall submit a written financial report and statement of financial transactions of the Association at the annual meeting of the Association. The Treasurer shall also make such reports and statements as may be required from time to time. SECTION VII. Assistant Treasurer. The Assistant Treasurer shall assist to maintain records of all monies paid or donated to the Association and shall review all disbursements made by the Association. The Assistant Treasurer shall assist to submit a written financial report and statement of financial transactions of the Association at the annual meeting of the Association. The Assistant Treasurer shall also assist to make such reports and statements as may be required from time to time. SECTION VIII. Recorder/Historian. The Recorder/Historian shall keep minutes for all meetings. Maintain copies of all important data and information. Assist with other duties as assigned. SECTION I. Dues for membership in the OAEC I.T. Association shall be assessed at $300 per system per year. Billing for dues will be included on the system billing from the Oklahoma Association of Electric Cooperatives in January. No member shall be eligible to participate in the activities of the Association or derive any benefits or privileges from unless all dues properly assessed and payable are paid in January of each year except for 2018 which will be collected by July 1st of 2018. SECTION I. One regular meeting of the members shall be held at such time and place in the State of Oklahoma as shall be determined by the appropriate committee of the Association. Insofar as may be practical, the regular meetings may be held during the summer. SECTION II. Written notice stating the place, cost for participating, day and hour of the meeting and the purpose or purposes for which the meeting is called, shall be delivered not less than thirty 30 days nor more than sixty (60) days before the date of the meeting. Call for approval of Minutes that were sent out with conference registration. Presentation and consideration of and acting upon reports of officers and committees. SECTION I. A majority of voting members shall constitute a quorum for the transaction of business at any meeting. The action of a majority of all the voting members in attendance of the annual meeting shall be the act of the Association. SECTION I. The bylaws of the Association may be amended at the annual meeting by a two-thirds vote of the eligible voting members present, provided notice of such amendment has been given to each member in writing at least two weeks prior to voting.